If we applied the best research on how human beings learn and develop, what would classrooms, schools, and districts look like? How might we change the narrative and vision for educational equity to include the recognition of the brilliance and potential of every single child? How do we support educators in identifying and eliminating structural barriers to existing opportunities—and creating new opportunities in school systems and communities? How might we build relationships and radical collaboration within and among cross-sector leaders (including parents and students) who have passion, expertise, and who can make change? 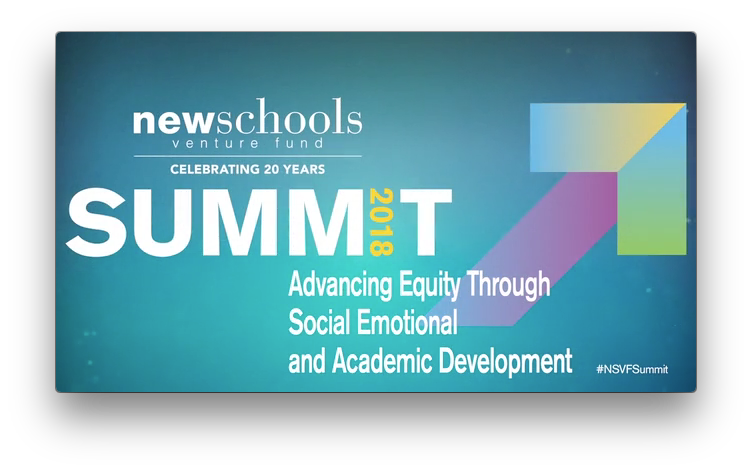 How do we best support the field in redesigning learning experiences and opportunities that leverage social, emotional, and academic development to achieve equitable access and outcomes for all youth? The Equitable Learning & Development Group conducts and translates academic research for an educator audience. We leverage social connectivity to contribute to the broad national movement to transform public schools. We work with educational leaders, principals, teachers, and students, to identify how best to transform schools into joyous, intellectually challenging, and equitable learning environments for young people. Mindsets and learning strategies drive students’ academic performance and perseverance in school—and educators create experiences and interactions in learning settings that directly shape students’ mindsets and strategies. 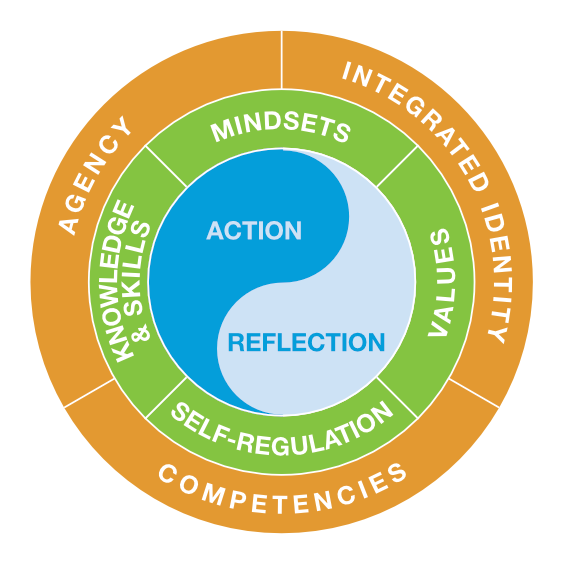 Educators and other adults can help young people grow into productive, engaged, and adaptive adults by supporting them to develop agency, an integrated identity, and key competencies. Caring adults “maximize” the impact of young people’s developmental experiences through their social interactions. Developmental Experiences are opportunities for action and reflection that are the catalysts for human development. Educators can build in these 10 kinds of high-leverage Developmental Experiences into daily lessons and activities to help young people build self-regulation, knowledge and skills, mindsets, and values, and develop agency, an integrated identity, and competencies. We have an explicit commitment to equity in how we engage with our work and with schools, and how we talk with and about young people, educators, families, and communities. We define equitable schools and classrooms as places that enable everyone to participate fully in learning. This means that learning environments are designed to be developmentally appropriate and responsive to the needs, assets, and cultures of the specific children who inhabit them, and that educators ensure that each child is afforded the necessary opportunities to thrive. Educators best support the learning and development of their students by continually deepening their own understanding of culturally relevant education, child and adolescent development, and the psychology of motivation and engagement—they recognize inequitable outcomes as a feature of the system and not a defect of particular learners, and they build authentic relationships with young people and families, and interrogate the structural and policy barriers that separate students from opportunity. We believe that creating engaging, challenging, supportive, and responsive learning environments is the single strongest lever for fostering young people’s social, emotional, and academic development and achieving educational equity. Learning environments provide opportunities for positive developmental experiences for students, shape how young people make sense of their daily schooling experiences, and strongly influence students’ beliefs, behaviors, performance, and development. Positive learning environments respond to the diversity of a school or classroom community, intentionally create rich opportunities for student action and reflection, attend to young people’s psychological experience of learning, and develop their feelings of competence, connectedness, and purpose. We know that positive developmental experiences are key components of supportive, challenging and responsive learning environments. Developmental experiences are defined as experiences that provide youth and adults with the necessary conditions and stimuli to advance their personal (social, emotional, and academic) and professional development. Developmental experiences include both active (building) and reflective (meaning-making) aspects, linked together in rich opportunities for experiential learning. Developmental experiences are maximized in the context of social interactions with others—within strong, supportive, and sustained relationships with adults and peers. We know that learning mindsets—students’ perceptions of themselves and of their experiences in school—influence the effort they put into their work. In turn, learning mindsets are strongly influenced by learning environments—what educators do and say in classrooms, schools, and other learning settings. Dr. Camille Farrington Keynote EL Education National Conference 2015 from EL Education on Vimeo. We situate our work in the scientific evidence about human learning and development, and the deep interconnection among social, emotional, and cognitive processes. Learning and development always involve social, emotional, and cognitive processes, directly facilitated by human relationships. Learning is always embedded in larger contexts of relationships and meaning-making. People put forth effort to learn because of their feelings; for example, they may believe that deepening their understanding of a subject will enable them to fulfill a passion, they may want to please a teacher or a parent, they may feel compelled to prove they can master difficult material, they may feel genuinely curious and excited about a topic, or they may want to avoid being embarrassed or feeling ill-prepared in class. How a person understands their own identity also strongly influences their willingness to engage in learning any particular thing. Young people are especially drawn toward things that “people like me” do, and they tend to steer clear of things that seem incompatible with who they are. This is true regardless of the learner’s race or ethnicity, gender, level of academic achievement, or available resources in a school or community. When educators intentionally design learning settings to support the interconnected nature of learning, students are more engaged and schools and classrooms are more thought-provoking places that support deeper learning. We have focused our work primarily on adolescence because it is a key time of development, growth, and change for young people. It is also often the time where schools’ systems and structures are most misaligned with the needs of young people they serve. Young people’s experiences during adolescence can set them on a trajectory that will continue to influence their development through adulthood. It is a time when young people are engaged in three “psychosocial preoccupations” that can set the context for engaging them in learning. Adolescents are keenly interested in: 1) developing their own interests and attributes (learning about self); 2) understanding their place within the social world of peers and adults beyond their family (learning about others); and 3) building general knowledge and understanding of how things work (learning about the world). Students are actively scanning their environments for new or confirmatory information about themselves, others, and the larger world in which they live—building up schema that can guide their experiences and behaviors for the rest of their lives. As they move into early adolescence, youth are also beginning to actively develop their identities as racialized and gendered people, coming to understand what it means to be a Latina or a Black young man or a White transgendered person within their immediate families and communities and within the larger social world. This is also the time when young people begin to think about their purpose in life: how they might contribute to something meaningful that is larger than themselves. 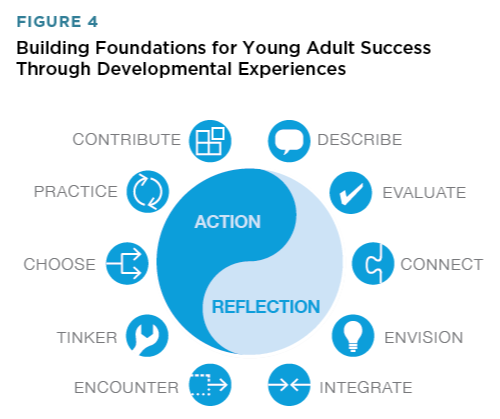 Attending to meaning-making, purpose, and identity are critical to supporting the learning and development of adolescents. We know that adult learning, training, and experiences are critical to student success. Adults themselves need to develop their ability to listen to, understand, and value the experiences of all students so that they can design classrooms and learning experiences that are culturally responsive, rigorous, and engaging—and that meet students’ academic, social, and emotional needs. Our goal for adult learning is to support educators and educational leaders in becoming critically aware, empowered, and highly skilled in facilitating the optimal academic, social and emotional learning of learners from diverse backgrounds. This means ensuring they have transformative experiences that build positive mindsets about students and student success and that develop the knowledge and skills to design more equitable, inclusive, and liberatory approaches to education. The UChicago Consortium, in partnership with Ingenuity, is developing a theory of action to support adults in organizing arts education experiences that more intentionally and effectively provide opportunities for social-emotional development. Since 2016 we have been a Learning Partner in the Building Equitable Learning Environments Network. In addition to contributing to the design of the network, we have worked with the member school support organizations to incorporate SOLD principles into their work and to develop their capacity to design and facilitate equitable learning environments for young people. A qualitative study and Youth Participatory Action Research (YPAR) project to deepen our understanding of the psychological concept of belonging and its meaning for the experience and performance of young people in K-12 schools. We are interested in how belonging intersects with issues of identity and group membership. 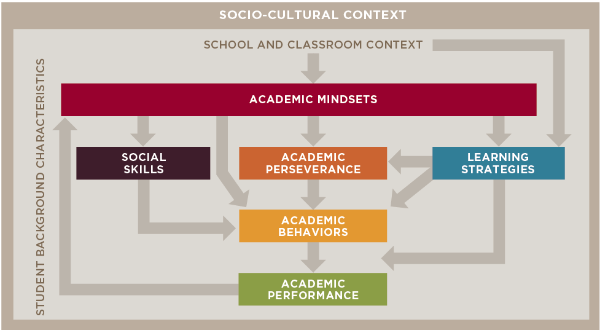 A three-year collaborative project between the UChicago Consortium Equitable Learning & Development Group, CASEL, and the National Equity Project with an integrated focus on social-emotional learning, equitable structures and outcomes, and the capacity of adults and systems to support students’ social, emotional, and academic development.